LTB bridging connectors are a cost-effective solution for bracing between non-load-bearing wall studs when compared with field fabricated blocking and clip angles. The LTB can be utilized with 3 5/8", 6", 8" and 10" studs at 16" o.c. 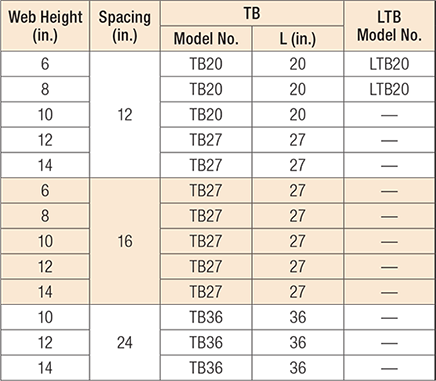 LTB See specific model numbers for code listings.